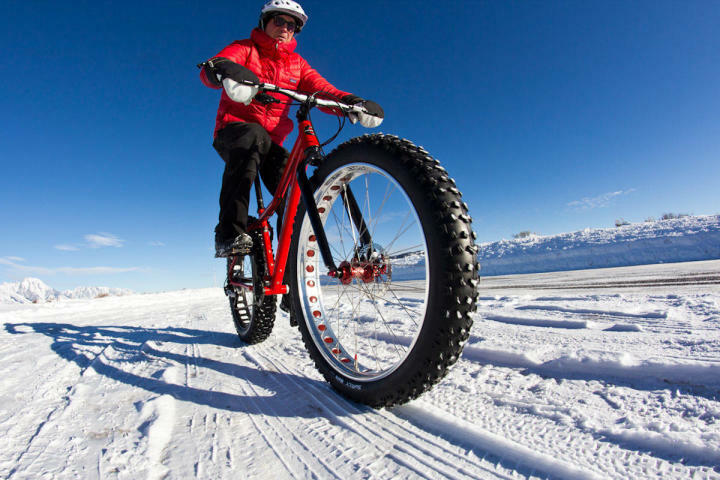 Fatbike or snow bike is a mountain bike with large tires, which has good adhesion on a difficult terrain as snow, sand or mud. These mountain bikes, equipped with big tires, are ideal to run on snow without efforts. With this innovative and funny activity, thrills are guaranteed in an outstanding frame ! It takes place around Mont Revard, near La Feclaz, few minutes away from Aix-les-bains. 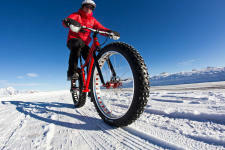 Thanks to Fat bike and its oversized tires, the bike become easy to use on snow ! With an excellent adhesion and off-road access, it is a new and playful activity at the Revard, near Aix-Les-Bains.